Langley – It may be referred to as ‘The Forgotten War,’ but the people of South Korea have certainly not forgotten the role Canada played and the sacrifices it made during the Korean War. To honour that involvement and the efforts of Canadian soldiers, a Korean War memorial is being created in the Township of Langley’s Derek Doubleday Arboretum. 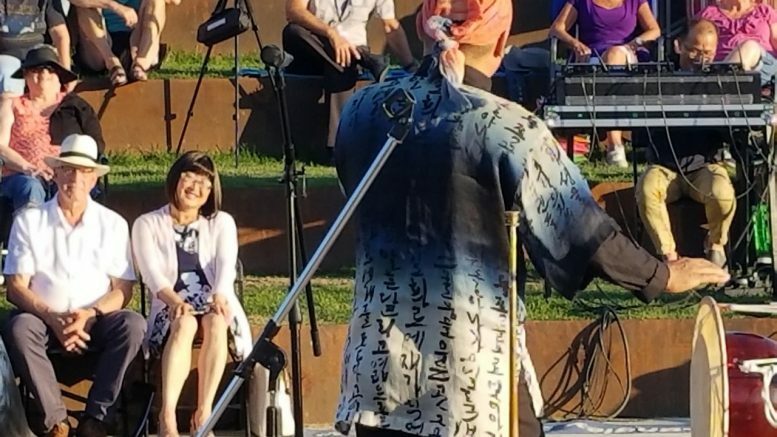 Mayor Jack Froese made the announcement on July 18 during a concert by world-renowned Korean percussion/instrumental band Noreum Machi, which was held at the Willoughby Community Park Amphitheatre as part of the Township’s free Summer Festival Series (tol.ca/events). The Township is working with the Gapyeong Stone Committee of the Korea Veterans Association of Canada, which is donating a memorial stone from the Gapyeong region of South Korea, where Canadian troops fought a pivotal battle. Between 1950 and 1953, Canada was part of a United Nations multi-national force that protected South Korea from invasion by Communist North Korea. Close to 27,000 Canadians left the comforts of home in the interest of peace and security in this area of the world, and 516 gave their lives for the cause. The Gapyeong Battle took place over two days in April, 1951, about 60 kilometres northeast of Seoul. The United Nations force was strongly outnumbered by the communist Chinese Army, but troops from Princess Patricia’s Canadian Light Infantry and the Royal Australian Regiment held off an entire Chinese division and prevented the fall of Seoul. Members of the Gapyeong Stone Committee and Korean War veterans were on hand for the announcement, as were Consul General Gunn Kim of the Republic of Korea and BC Senator Yonah Martin, the first Canadian of Korean descent to serve in the Senate of Canada. The Gapyeong Stone is being shipped from South Korea and the war memorial will be installed in the Arboretum in the months ahead. 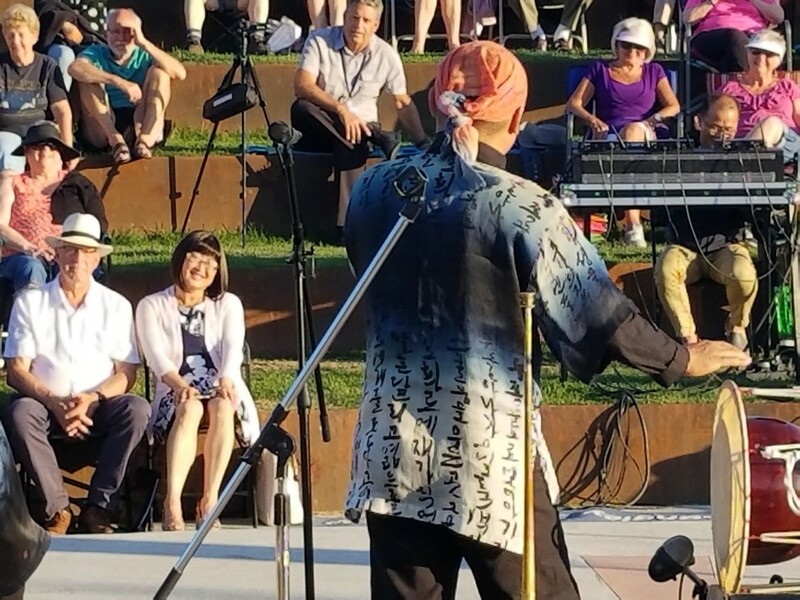 Members of the Gapyeong Stone Committee, Korean War veterans, and dignitaries joined Township of Langley Mayor Jack Froese for the announcement of a Korean War memorial in the Derek Doubleday Arboretum during the Noreum Machi concert at the Willoughby Community Park Amphitheatre on July 18. Be the first to comment on "Langley Korean War Memorial Announced"